Location was great! Room was clean and beds comfortable. Very nice ourside view from the hotel, train and subway station are down in the basement area. 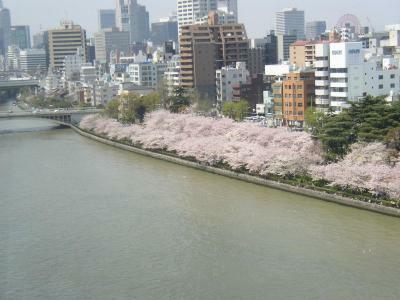 Walk to Osaka castle easily. Clean sheets. Right at Okawa River, view from the room is fabulous. 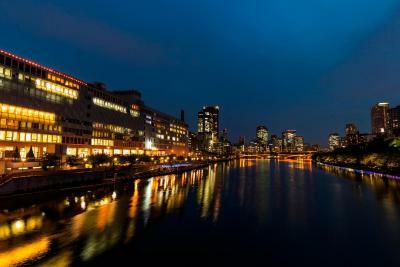 Not very far from the center, close to the subway station, can easily get around. 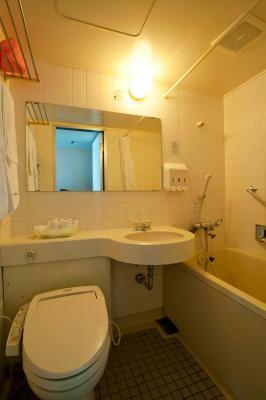 Partially renovated i think - very new looking toilet and bathroom. Very comfortable. Location directly above the train station so easily accessible for people without their own vehicle. 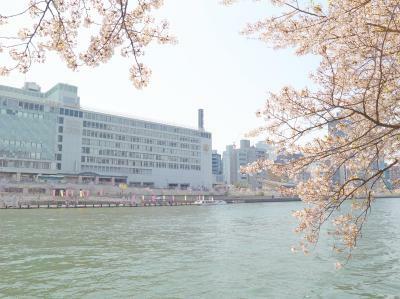 Conveniently located from the train station, our room was facing the river view. The location is really great. 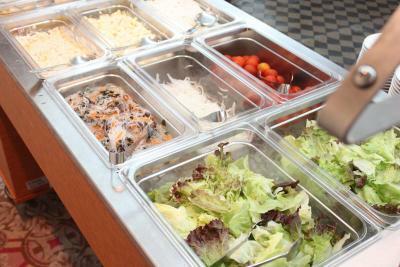 There is a railway and subway station, market and cafes in the 50m radius. 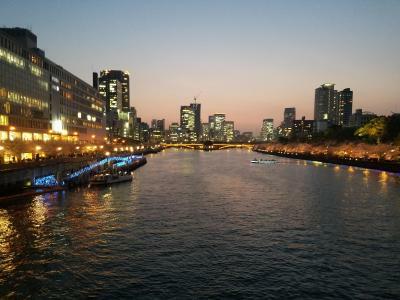 You can easily get to the Osaka Castle Park on foot or go for an evening walk by the river. The sheets were clean and I think the mattress was quite new. The staff was nice and friendly. 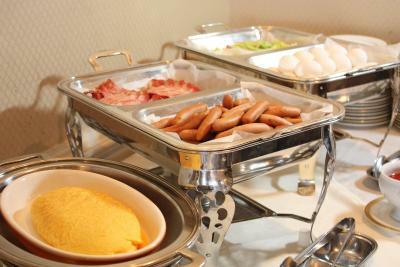 Good location and kind staffs. 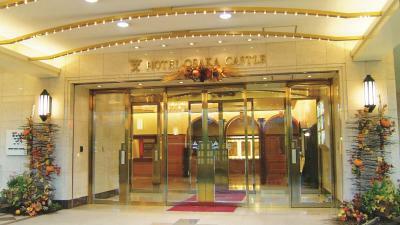 Hotel is connected to two subway lines, and Osaka castle one of famous tourist attractions is closely located. Probably, it only takes 10 minutes on foot. 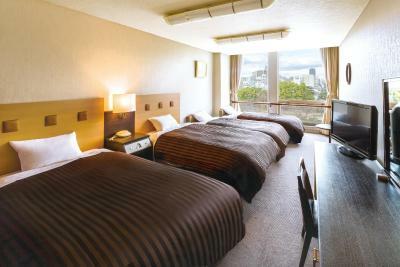 Hotel Osaka Castle This rating is a reflection of how the property compares to the industry standard when it comes to price, facilities and services available. It's based on a self-evaluation by the property. Use this rating to help choose your stay! 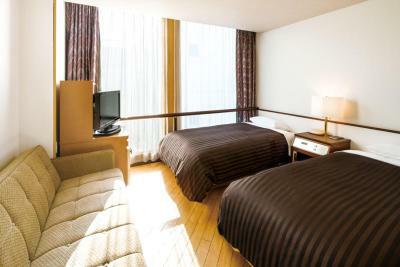 Right next to Tenmabashi Subway Station, Hotel Osaka Castle offers rooms with free wired internet and an private bathroom. The hotel features 2 restaurants and is connected to a shopping mall. 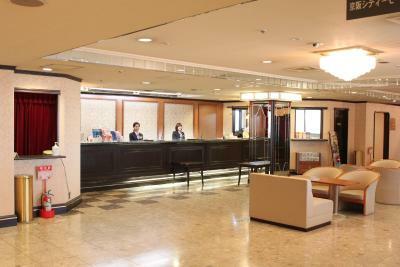 Guests at Osaka Castle Hotel stay in air-conditioned rooms with a fridge and an electric kettle with green tea bags. Some rooms have floor-to-ceiling windows. Relaxation options include pay TV programs and a soak in the bathtub. 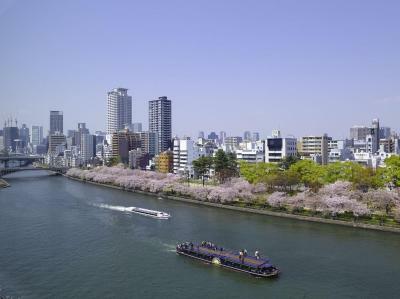 Osaka Temmangu Shrine is a 10-minute walk from the hotel, and Osaka Castle is a 15-minute walk. 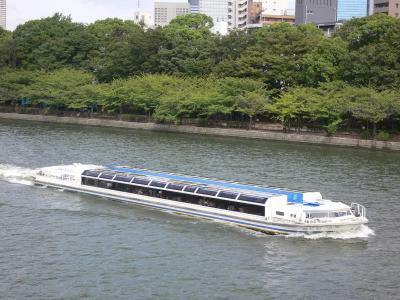 The lively Umeda area is 10 minutes away by subway from nearby Tenmabashi Station. The hotel has a beauty parlor, and offers in-room massages. 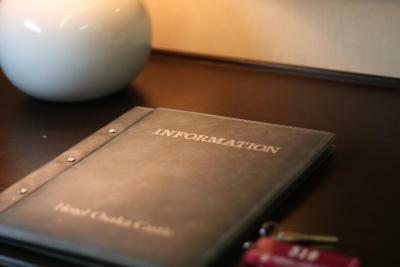 The 24-hour front desk has currency exchange services. 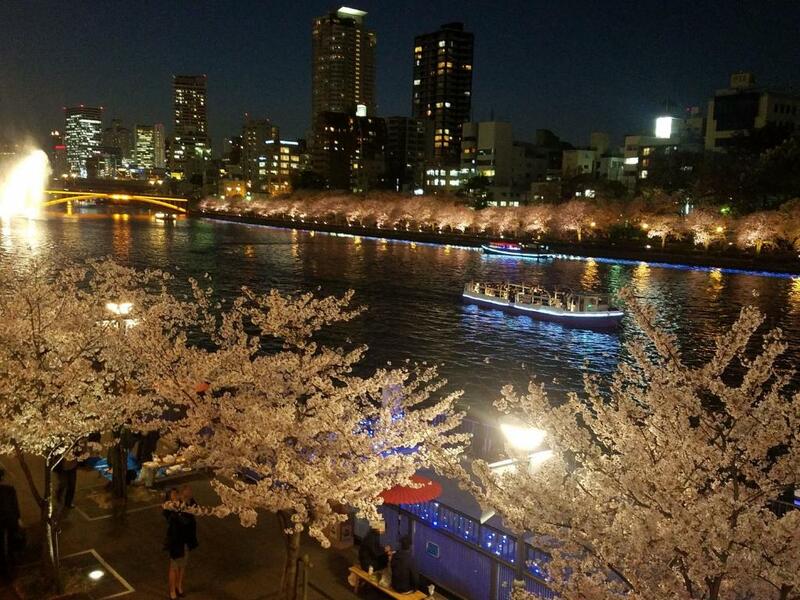 Restaurant Riviere overlooks the Okawa River and serves international dishes. 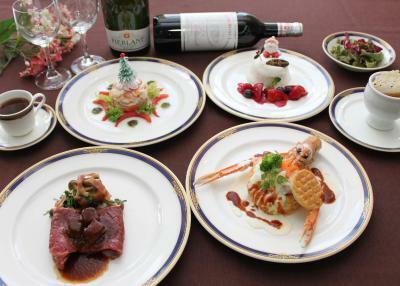 Guests can also enjoy Kinjokaku Chinese Restaurant, Cafe Koo and Bar Kawamo. 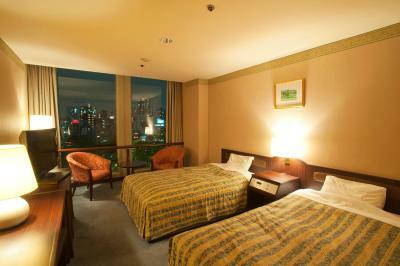 When would you like to stay at Hotel Osaka Castle? 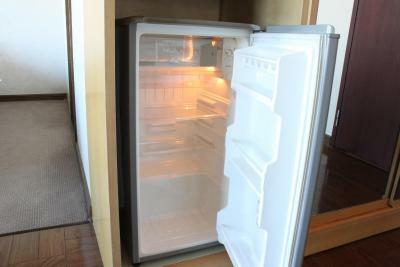 Room features a fridge and an electric kettle with green tea bags. Relaxation options include pay TV programs and a soak in the bathtub. 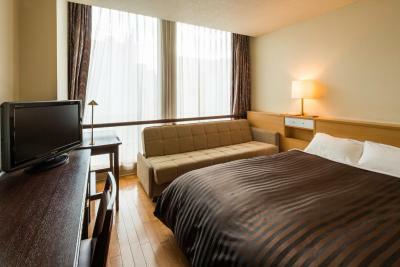 Room featuring a semi-double bed (47 in wide). 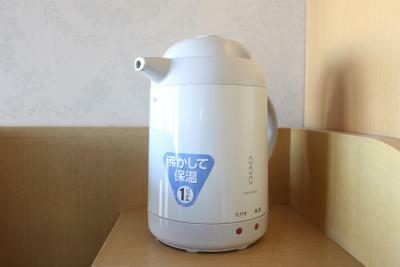 Room features a fridge and an electric kettle with green tea bags. Relaxation options include pay TV programs and a soak in the bathtub. 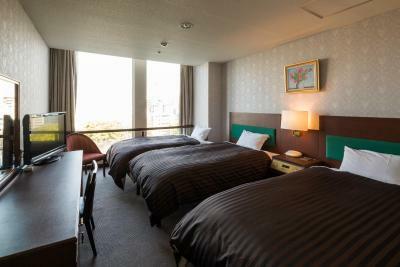 House Rules Hotel Osaka Castle takes special requests – add in the next step! 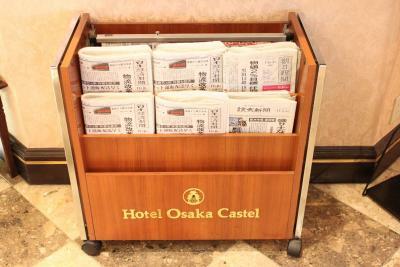 Hotel Osaka Castle accepts these cards and reserves the right to temporarily hold an amount prior to arrival. Full payment is required upon check-in. Room and hotel very dated, had requested a river view room, but ended up in room 867 with a view of someone’s balcony this room was at the end of the hall next to a row of drinks machines while handy if you wanted a drink but very noisy all night with other guests using the machines. The room smelled like smoking every day! 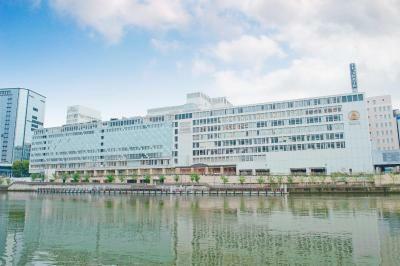 Close to train station and malls. Hotel was tired and worn and overpriced for the condition. From the single room you can see only a wall (no view). 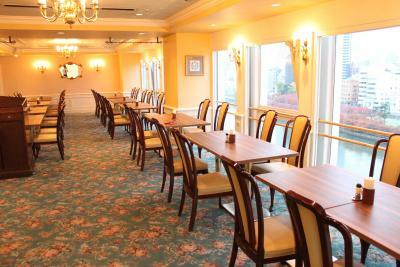 Many people complained that the rooms are old but this is not really a huge problem. The problem is however that they are just FILTHY. 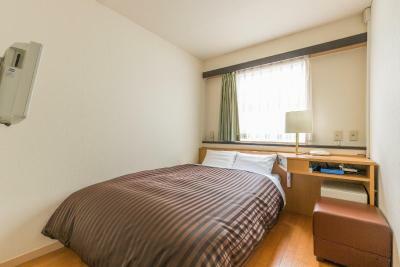 I think this is the most dirty room I ever stayed in in Japan. The floor was covered in some dark dirt, all sticky and making me not want to put anything on it. One could easily notice stains from dried liquid here and there. The desk as well as lamp and control buttons haven't seen a detergent in years to get to that level of filthiness. Bathroom was not cleaned properly because I could find hair in the bath tube. The floor and bath tube had some strange dark color. Sorry but if anyone cleaned the floor at least once a month with detergent it wouldn't be that dark... Also the amount of dust behind the TV screen and on the only shelf that was available in the room was only a confirmation that no one cares about standards. Finally, there were many damaged equipments in the room. Some sockets' covers were falling off the wall (quite dangerous if you ask me). Bath tube's drain was cracked! Control panel in the desk was "fixed" with the duct tape. There were ethernet wires tangled in the desk (on sight). In addition, the walls and the door are made of some thin material so I got woken up early in the morning by people talking in the corridor. At night I couldn't sleep because I could hear someone snoring loudly... 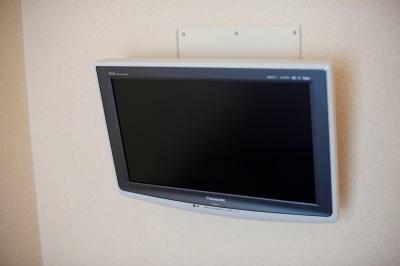 I know that this is a budget hotel not some fancy facility. 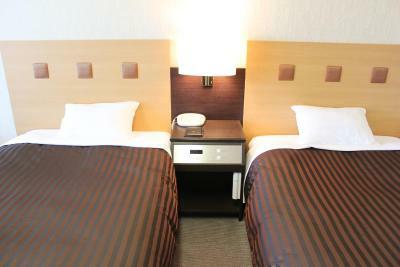 However, I have comparison to other hotels in that class, located nearby (at least 2 of them, one on the other side of the street) and they are way better. I think this hotel's standard is below the price they are charging. 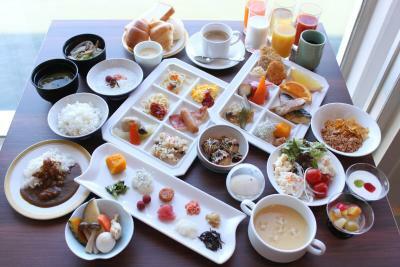 I could compare it to some old dormitory or a decent motel. Too small for three adult people. Location of my room and the view. My room had an old, dingy smell, and the furnishings were a bit worn and tattered. Not a good value for the money a paid for one night. I don’t think the room had AC but it is winter so it was fine. Room was not so clean, especially floor. 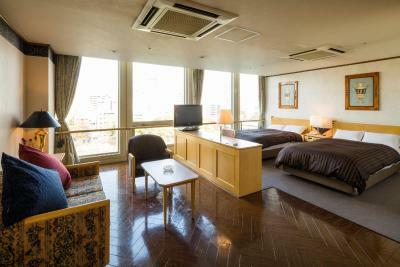 Note that, unlikely figures, single room is not river-view and there's no balcony. Carpark was too far. No loading and unloading bay for us to unload our luggage at the hotel.